Comprised of 7000 islands rich with beautiful lagoons, white sand beaches and lush jungle tropics, the Philippines is a Southeast Asian gem that has recently become a destination where tourists are choosing to play. With Far East countries topping most travel lists, it’s surprising to learn that only 12.4 percent of all American college students who study abroad choose Asian countries. As technology continues to dominate the region with production and manufacturing, STEM students would be wise to travel outside of the US to experience parts of the world that directly affect their field of study. Enrolling in a study abroad program provides the opportunity to gain a deeper sense of self-awareness, a new understanding of different cultures, and a healthier relationship with the earth. MiLLENNiAL recently visited the Mapúa Institute of Technology in Manila, Philippines to experience what life is like for their international students studying STEM subjects. As Dr. Reynaldo Vea, the President of Mapúa, tells us, “Students choose the country before they choose the school.” With that in mind, we set out to discover all of the fun things to do in Manila and throughout the Philippines to see if activities could indeed be a catalyst in deciding to study in Asia. Not far from Mapúa is Manila Bay, a 12-mile natural harbor responsible for all of the country’s imports and exports. As of 2002, the area was redeveloped into a recreation center for local Filipinos. Referred to as Baywalk, the public space stretches just over a mile from the US Embassy to the Cultural Center of the Philippines. 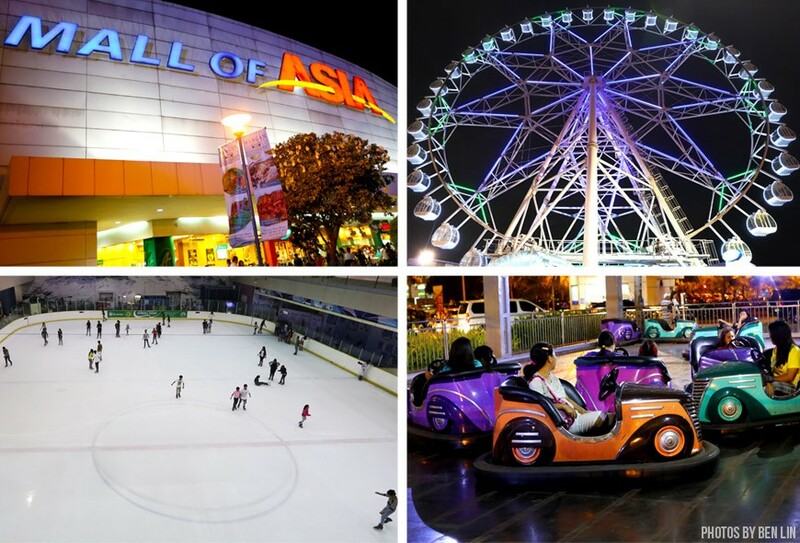 From a Ferris wheel to bumper cars, Baywalk is loaded with fun attractions and eateries. Home to most foreign students’ favorite live music bar, Padi’s Point, Baywalk is located directly across the street from the Mall of Asia- another popular destination among locals, which includes shopping and recreational activities such as ice skating, movie theaters, and diverse restaurants. Twenty minutes East of Mapúa in Metro Manila, is the financial hub of the Philippines, Makati City. Known for its entertainment and cultural vibrancy, Makati is the place where Filipino millennials like to hit the town. One particular hotspot frequented by young celebrities and socialites is 71 Gramercy. Standing 71-stories high, the rooftop bar sits atop the Philippines’ tallest building. With deep house vibes and puffy ceiling installations, guests enjoy the feeling of being on Cloud 9. Another fun nightlife area in Metro Manila is Bonifacio Global City. Surrounded by high-tech offices, residential buildings, retail outlets, and wide pedestrian sidewalks, this metropolis could easily be confused with a bustling American city. It is also the capitol for call-centers and home to companies like T-Mobile and Flowers.com. In the center of the district is The Fort Strip, an upscale plaza that hosts the posh lounge, Aracama, and clubs URBN and Prive. Complete with private whiskey cellars and buyers club engraved whiskey low-ball glasses, Prive is the Filipino version of a Vegas nightclub. Studying at Mapúa would not be complete without weekly visits to Batangas, the province known for its “white sand” beaches. Lined with luxurious resorts, Batangas is the place all the students, foreign and local, flock to during the weekends to soak up the sun and play in the pristine water. Only a two and a half hour drive outside of Metro Manila, Batangas offers volcano hikes, scuba diving, and fishing. Located one hour outside of Manila is Laguna province famous for its incredible waterfall hikes. With places like Villa Escudero and Hidden Valley Springs, students can escape the city life for the serenity that accompanies venturing into the mountains. Breathtaking landscapes will remind you of why you chose to study in the Philippines. With opulent terrain and diverse wildlife, Laguna offers all that you would expect from an island paradise. Here students can explore the agricultural practices of the locals and visit surrounding pineapple farms and rice fields, while taking in the views from the top of the peak. For longer weekend getaways, the Philippines is a haven for island paradises. Most recently Palawan was named “the most beautiful island in the world” by Daily Mail and TripAdvisor. With its volcanic rock formations, marble caves and turquoise water, Palawan does not disappoint on its new title. The two main ports on the island are Puerto Princesa and El Nido. Most tourists fly into Puerto Princesa where they can explore the famous world heritage site, The Underground River, an 85-mile subterranean national park. With thousands of bats flying overhead as you venture deeper into the cavern, you will be impressed at the grandeur Mother Nature has carved out over the years. 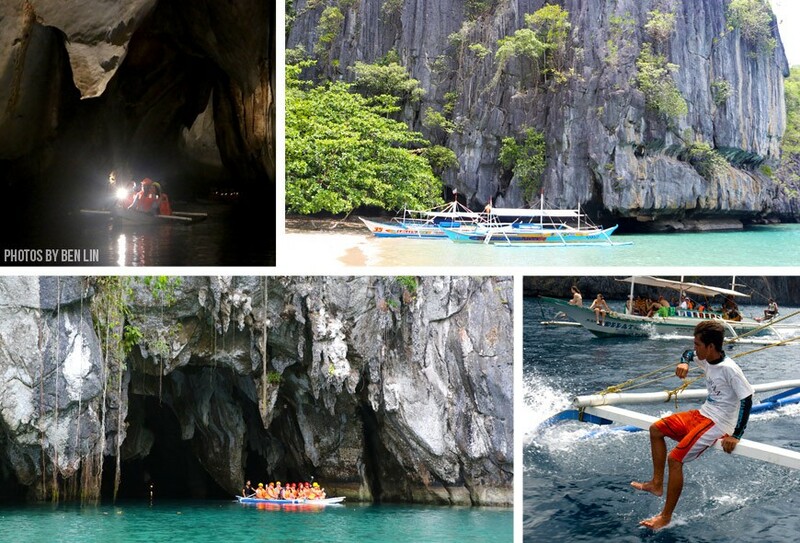 The journey in getting to the Underground River is a feat in itself. If students are feeling adventurous, they can rent mopeds and ride throughout the countryside as a local, stopping at the Ugong Rock Zipline tour. What is unique about the tour is that in order to reach the ziplining summit, all patrons have to spelunk through an epic marble cave. The eco-tourist adventure helps to fuel the local economy and ensures villagers can keep their land. Puerto Princesa is also home to the islands of Honda Bay. Perfect for relaxing in the sun or swimming with the marine life, Honda Bay offers full day tours to their remote islands. From Luli to Starfish and Cowrie Island, students will have a blast playing on these distinct beaches. But aside from the beauty of southern Palawan, northern Palawan is home to El Nido the quintessential paradise of the Philippines. Known for their amazing lagoons and flourishing biodiversity, El Nido should top everyone’s bucket list! Its stunning landscapes will leave you feeling refreshed and reconnected to the majesty of our planet. Most students are up for a good party, and fitting into this vibe is the island of Boracay. A popular choice among foreigners, this island offers parties every night on the beach. With lots of bars, nightclubs, and a propensity for fun expect to see the sunrise after a long night of socializing and dancing when visiting Boracay. New friendships and lasting memories are guaranteed. Now that you have had a glimpse into what it is like to PLAY in Asia, we hope you will consider the Philippines as part of your study abroad options, and realize how much fun you can have in Manila while attending a school like the Mapúa Institute of Technology. For more information regarding Mapúa’s admission requirements or to learn more about the Philippines, visit Mapúa.